Balochistan is considered as the least developed province of Pakistan, despite being the largest province in terms of area. It is not only least developed in educational sector but in every walk of life .It is both socially and economically not developed. The literacy rate in Balochistan is low. The quality of education is seemed totally destroyed as no measures are being taken bring changes or improvement in education system. The literacy rate is 39% in Balochistan. 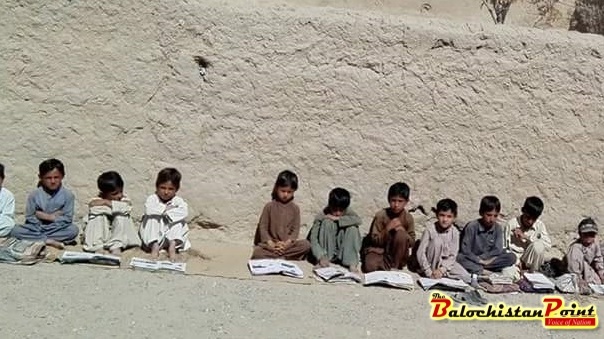 In Balochistan, there are more than 12,500 primary school and among them 7000 schools are without classrooms and teachers, and no captivating actions are being taken by government. There are plenty of reasons which cause dismal conditions of education in Balochistan. Although, there are number of government educational institutes, these institutes are not managed properly. The government is not trying to ameliorate it. In Balochistan the teachers are receive their monthly wages but remain absent from the schools. Recently, it has been estimated that more than 5000 ghost teachers are in Balochistan. Lack of for schools is another burning issue. 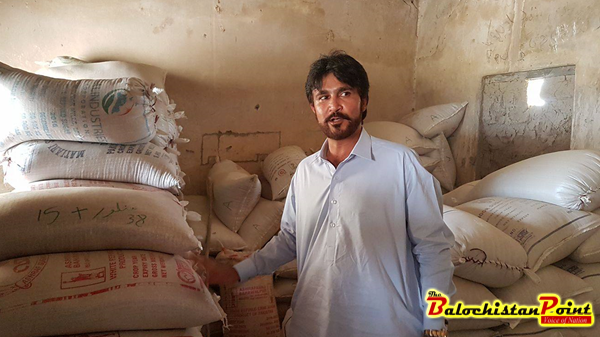 A school in district Khuzdar which had been turned in a stores. Recently, in Khuzdar, the deputy commissioner found that many school are non-functional and are closed. The teachers were absent. The schools premises had been turned into stores. These conditions are found because there is no good management of schools. Some tribal leaders are also founded involved deteriorated education system in Balochistan. They have this superstition that if youth are aware of their basic human rights so they will deprecate against them. They do not want their people to develop and to stand with them. They want people to live under their rule. Another crux is that, as we know from centuries people of Balochistan lived a nomadic way of life and so population density in Balochistan is scattered. With this condition it is difficult to establish schools for every small village. There is lack of political interest for the betterment of education system in Balochistan. The leadership in Balochistan claims to develop the education system; however, no such results are observed. The children of Balochistan are deprived of good quality of education system. In this 21 century, in which world is developing in every sector, millions of children are illiterate and are not aware of their basic rights. In Balochistan the ratio of children is 3.6 million but among them just 1.3 are being schooled. Moreover the schools are deprived of basic needs and facilities. In schools no fresh water and electricity available for children. Today our nation is facing multiple problems in modern era and is disadvantaged of quality education. The government should take urgent measures to eliminate shortcoming in and other problems. The educational institutes should be cursory glimpsed so that no more ghost teacher could be found. There should be non-governmental organization, which should provide free education. To improve standard of living, we should emphasize more on education sector, as it is basic right of every child to get education.